Father’s day is on Sunday. 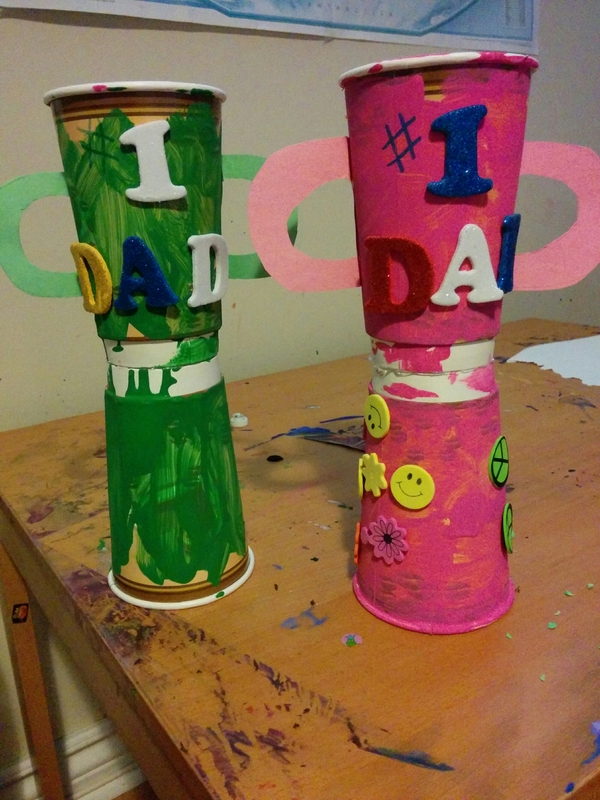 If you gave littles ones at home and are looking for an easy craft to do why not try making a trophy celebrating your #1 Dad! 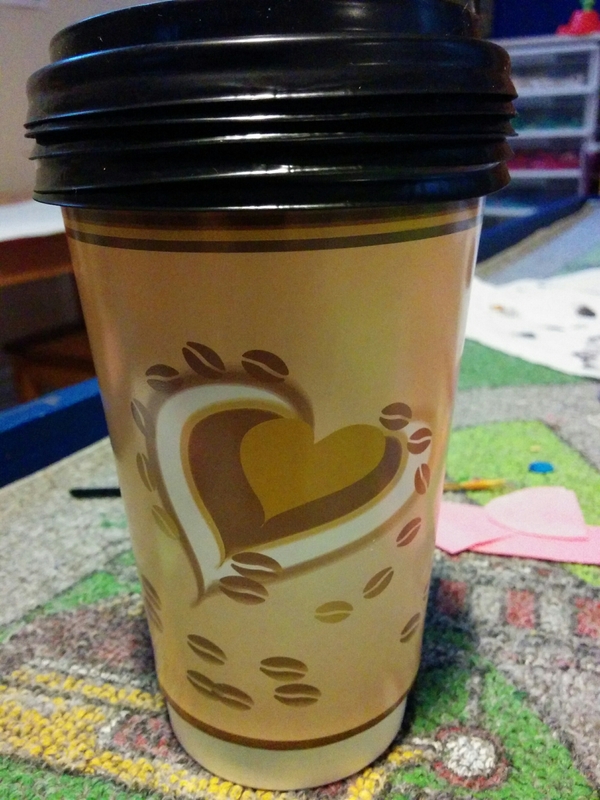 I found these sturdy cups at the dollar store. 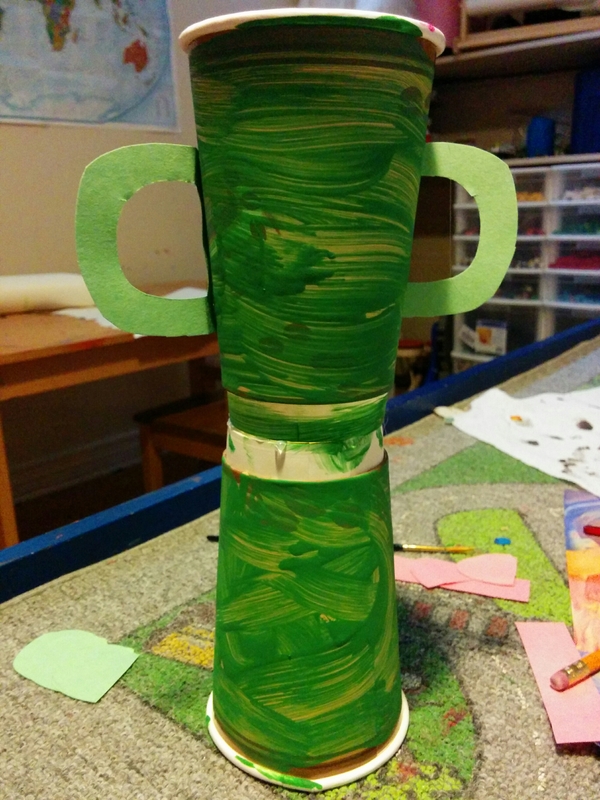 Then have the kids paint them with acrylic paints. Once dry have the kids decorate them with stickers to personalize.